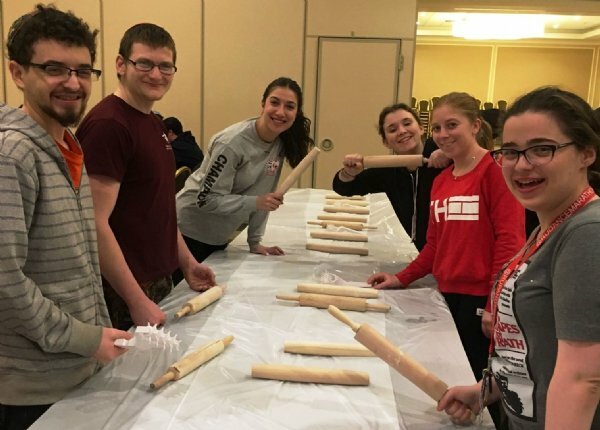 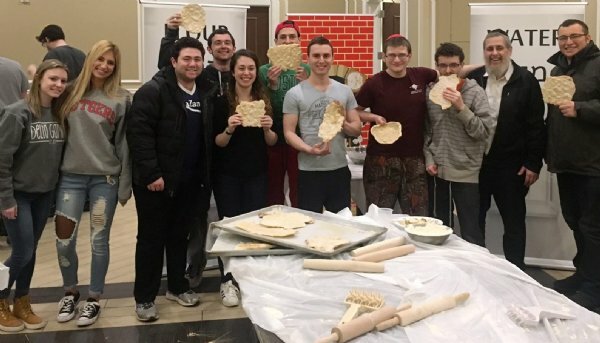 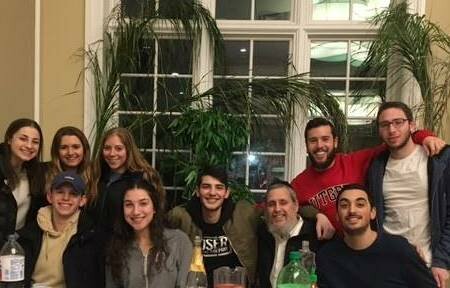 As students at Rutgers walked down College Ave a few days before Pas sover this year, the aroma of freshly baked matzah filled the streets as Jewish students baked the unleavened bread in preparation of Passover at Chabad’s weekly JCafe. 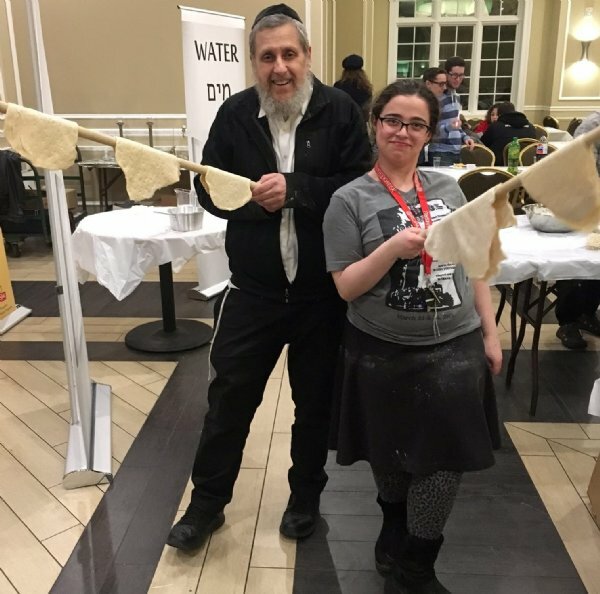 Chabad's Social Program Coordinator Marli Dinovitzer, RU ’20, helped set up the model matzah bakery booths of water and flour, with volunteers Coby Cunningham and Avery Katz. 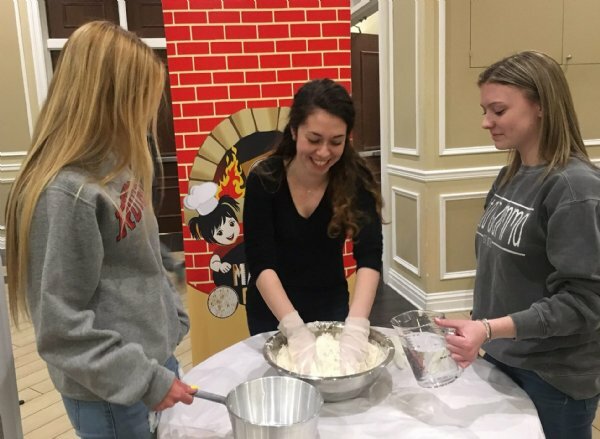 Stationed at the booths were Chabad President Nicole Collins and Vice-President Brittany Liebes, with Marli in the middle quickly mixing the ingredients to make the dough. 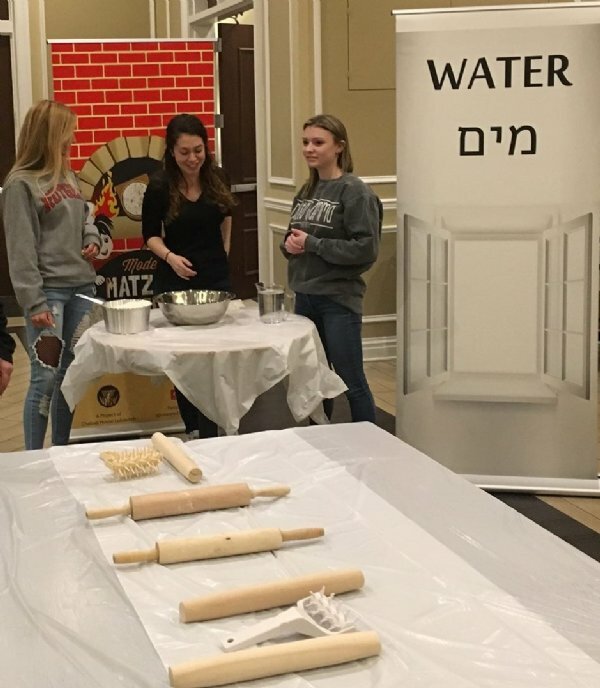 When the matzahs were all baked, well under the 18 minute deadline, students washed and made the hamotzei blessing tasting their soft, pita-like, “matzah creations.” Chumus spreads were distributed, and everyone commented on how delicious the baked products were despite their lack of salt, eggs, or sugar. 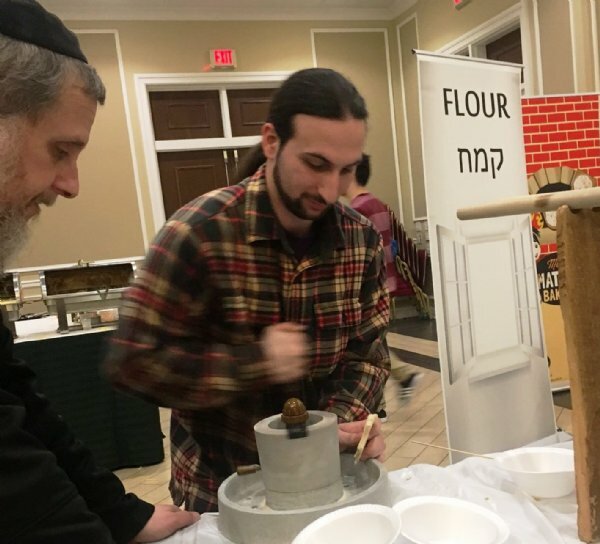 Actual kosher for Passover matzah is baked under very strict, chometz-free conditions with special Passover flour and in Passover oven s.